It amazes me to watch birds feed their babies, relentlessly, all day, every day, until they are old enough to feed themselves. This female Kestrel, as well as the male, came in with bugs and mice, dropped them off, and off they flew again for more. Every once in the while, I would see them resting somewhere, but not for long before they were off again! 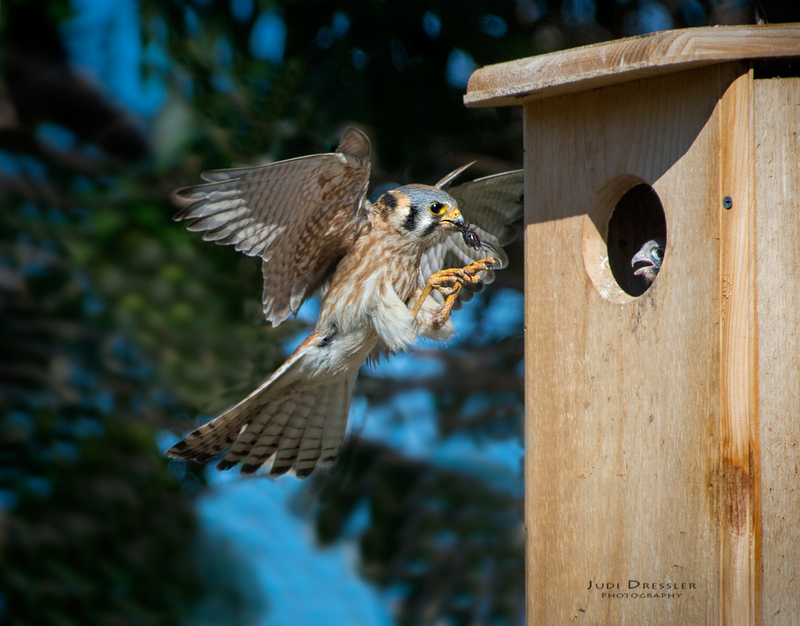 I photographed these American Kestrels in a friend’s back yard in Brighton, Colorado, early in the morning on June 15, 2017.